Both the 21.5- and 27-inch version of the newly redesigned iMac now ship within one day from Apple's online stores in the U.S. and Canada. All default configurations of the iMac are now advertised to ship within 24 hours. The improvement comes only three days after shipping times were shortened to one-to-three days. Prior to this weekend, the 21.5-inch model was estimated to ship in two to three weeks, while the 27-inch model took up to a month to ship. iMac availability was severely constrained following the debut of the redesigned desktops in December. It's believed that Apple faced production issues associated with the new screen, which is laminated to the glass front to allow for a thinner design. Improved iMac availability is assumed to have helped boost overall Mac sales in the month of January. Last week the NPD Group revealed that U.S. Mac sales were up 31 percent to start 2013.
iMac shipping times also improved this week elsewhere around the world, though Apple's online stores in Europe and elsewhere do not yet reflect the same immediate availability as the U.S. store. 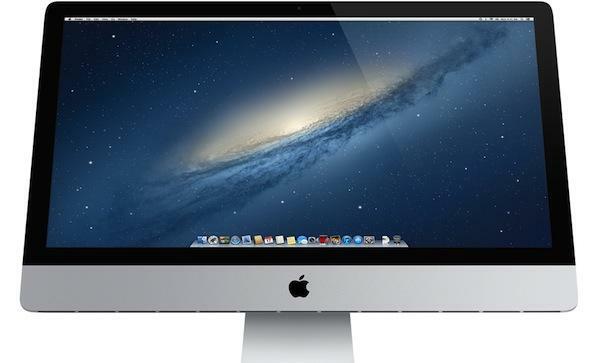 iMac inventory has also improved among Apple's official resellers. Their prices can be found in the official AppleInsider price guide, included below.